The University of Southampton has been commended by the Quality Assurance Agency for Higher Education (QAA) for its enhancement of student learning opportunities. The commendation – the highest rating possible – is confirmed by the QAA in its Higher Education Review report on the quality and standards of provision at the University published today (Thursday, 30 April). The report also confirms that Southampton’s academic standards, the quality of its student learning opportunities and the quality of information about its learning opportunities all meet UK expectations for standards and quality. “This is a fantastic review outcome for the whole of the University of Southampton,” said Professor Alex Neill, the University’s Pro Vice-Chancellor (Education). “The University performed exceptionally in preparing and submitting its self-evaluation document and supporting evidence and again when hosting the team of reviewers in February. The review report confirms what we already knew about Southampton’s strengths in developing and delivering high quality programmes and services. These lead to great opportunities and experiences for our students and make a real and positive impact on our staff. “Every faculty and professional service should be proud of the major contribution they have made to the success of this review,” Professor Neill continued. “It’s a testament to our approach of working together at all levels, and a good example of our ability to make the University of Southampton shine when we pool our talents and resources for everyone’s benefit. 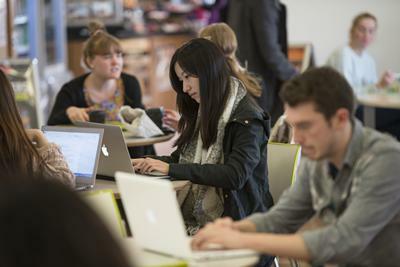 “It took many months to prepare for the review and we’re very pleased that the report assures our UK and international students, and others, that the University of Southampton meets national requirements for standards and quality,” Professor Neill concluded. the clarity, availability and accessibility of regulations, policies and procedures. The review also highlighted the clarity, scope and effectiveness of the University’s complaints and appeals procedures and the emphasis on early and alternative forms of resolution. QAA's Higher Education Reviews are carried out by experts from other universities and colleges. Every review team includes a student reviewer in line with the QAA’s view that students should be partners in the quality assurance of their education. The team that reviewed the University of Southampton included Dr Demelza Curnow (Bath Spa University), Dr Jenny Gilbert (independent), Dr Douglas Halliday (University of Durham), Simon Pallett (University of Newcastle) and Joanne Caulfield (student reviewer from Bangor University). The QAA’s full institutional review of the University of Southampton is published here.